And here's the lake at last. Yep, that's a lake. A real Finger Lake. In fact, it's Canandaigua Lake. 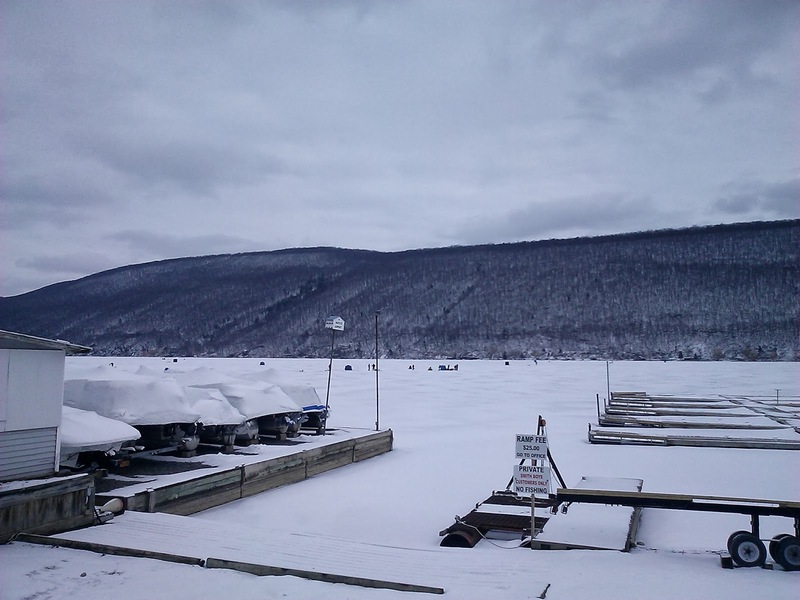 You can see the snow-covered boats and the boat docks and those little dots in the middle of the lake are ice fishermen, though their accommodation isn't as luxurious as some, which have heating, tvs, the works, all built around the fishing hole.